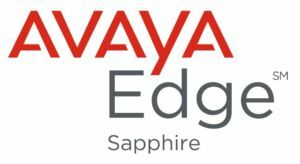 DES MOINES – November 2, 2017 – The nation’s leading technology provider, Carrier Access, Inc., has achieved Sapphire Accreditation in the Avaya Edge Partner Program. The Sapphire Accreditation validates Carrier Access Inc.’s commitment, experience, and dedication to their clients as well as Avaya’s portfolio of services and solutions. The Avaya Edge Partner Program was introduced one year ago to better equip partners to thrive in the software and services industry. Carrier Access, Inc.’s status was awarded by exceeding all requirements established by Avaya in continuing revenue growth, certifications, and exceptional client satisfaction. Carrier Access, Inc. is a premier technology solutions provider serving customers spanning the SMB to Enterprise market. With a suite of products centered around Connectivity, Technology and Lifecycle Management, Carrier Access has the expertise to surpass customer expectations and help organizations achieve tremendous success. The Carrier Access philosophy: “We believe that businesses thrive when they focus on their core competency, ours is technology.” For more information, visit www.carrieraccessinc.com.